US Open Champion Novak Djokovic: "I Owe Roger Federer, Rafael Nadal"
Novak Djokovic said it's Roger Federer and Rafael Nadal who have made him the player he is. Novak Djokovic was thrilled to match Pete Sampras with a 14th Grand Slam title at the US Open on Sunday, but he said it's Roger Federer and Rafael Nadal who have made him the player he is. 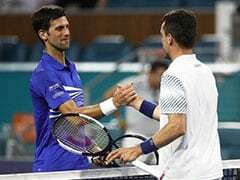 "Pete Sampras is one of the biggest legends ever to play the game," Djokovic said after earning a third US Open crown with a 6-3, 7-6 (7/4), 6-3 victory over Juan Martin del Potro. "He was my childhood idol. He was someone I was looking up to. The first actual thing I saw related to tennis on the TV was his first or second Wimbledon championship. That inspired me to start playing tennis. "There is a lot of significance of me being now shoulder to shoulder in terms of Grand Slam wins with him." The victory puts Djokovic three Slam wins away from Nadal's 17 and six behind Federer's record 20. It will also see him rise to number three in the world behind Nadal and Federer -- the rankings again reflecting the "Big Three" status they have shared for so long. 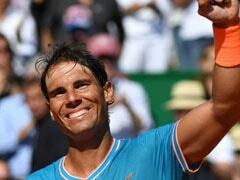 Nadal hobbled out of a semi-final match against Del Potro after two sets. Djokovic would have relished taking on either -- or both, although he admits that early in his career that wasn't always the case. "Maybe 10 years ago I would say I'm not so happy to be part of this era with Nadal and Federer," he said. "Today I really am. I feel like these guys, rivalries with these guys, matches with Federer and Nadal, have made me the player I am, have shaped me into the player I am today. "I owe it to them." Although he was riding high coming into the Open, Djokovic was among the many struggling with crushing heat and humidity in the first week. He needed four sets to get past 41st-ranked Hungarian Marton Fucsovics in the first round and another to get past 61st-ranked American Tennys Sandgren in the second. 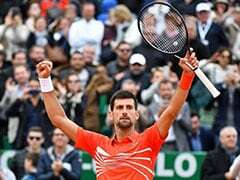 He picked up the pace with straight-sets victories over France's Richard Gasquet, Portugal's Joao Sousa, Millman and 2014 finalist Kei Nishikori to arrive at a title tilt with good friend Del Potro. The crowd was roaring for sentimental favorite Del Potro -- shut out of Grand Slam finals since his 2009 US Open triumph. 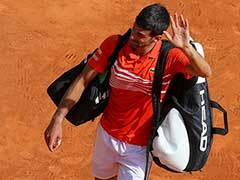 Djokovic said it was the kind of heavyweight clash he's learned to embrace. "This might sound funny, but my nickname is Nole. When they shout "Ole, ole, ole, ole," that's what I hear," he said of the raucous chants for Del Potro. 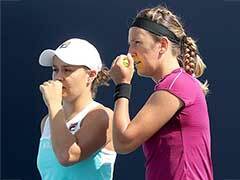 "I thought it was electrifying in some stages of the match, especially in the second set when we went toe-to-toe. I had my corner, as well. "When the roof is closed, trust me, it's very, very loud down there. It takes a lot of effort to actually stay poised in this moment. "I'm glad I managed to do that."